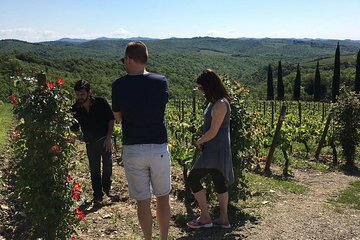 Explore the Tuscan wine region without the hassle of planning on a private day tour with convenient round-trip transport from a central Florence location. In addition to navigating for you, your guide offers facts and anecdotes about the local secrets of winemaking. The day’s itinerary includes wine tastings at three vineyards, stops at hidden gems and vistas often missed by visitors, and lunch.